When Horizon Zero Dawn released a few years ago in 2017, the new IP from the makers of Killzone shocked and delighted players to the tune of 10 million copies. It would be absolutely no surprise to find out that the game is getting a sequel and thus it's absolutely no surprise to hear it be teased through one of the actresses involved in the first game. According to a post on Reddit, a fan at the Star Wars Celebration talked to actress Janina Gavankar, who most players might remember the protagonist of Star Wars: Battlefront II's single-player campaign. 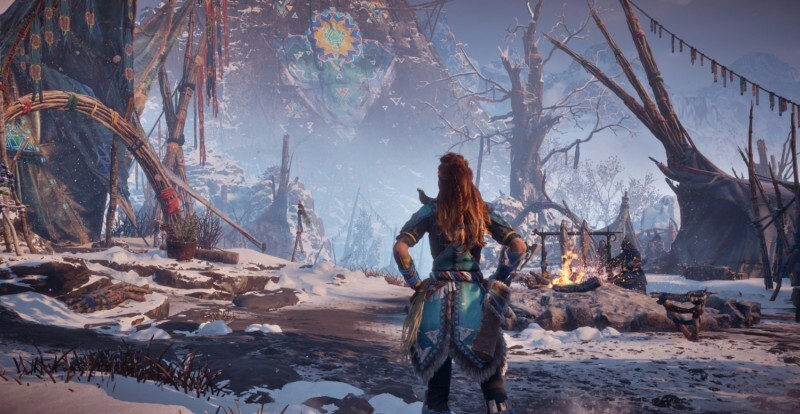 Gavankar also played the character Tatai in Horizon's Frozen Wilds DLC, which prompted the fan to thank her for getting them into the game by talking about it. “Just wait until you see the sequel,” Gavankar replied in a now removed Twitch clip. “You’re gonna die. I know some secrets. You’re gonna die.” The clip is mirrored here. Which, I mean, of course they're making a Horizon 2. I would be shocked if that game weren't greenlit before Horizon finished development, but it was definitely greenlit by the time the DLC was out. For me, the real question is where the sequel will land. With rumors of next-generation systems landing in 2020 and Horizon almost certainly not being announced and releasing this year, could it be a PlayStation 5 title? Perhaps, like The Last of Us on PlayStation 3, a game with intentions to bring forward a generation? What would you want to see from a Horizon sequel and where do you think it will land?